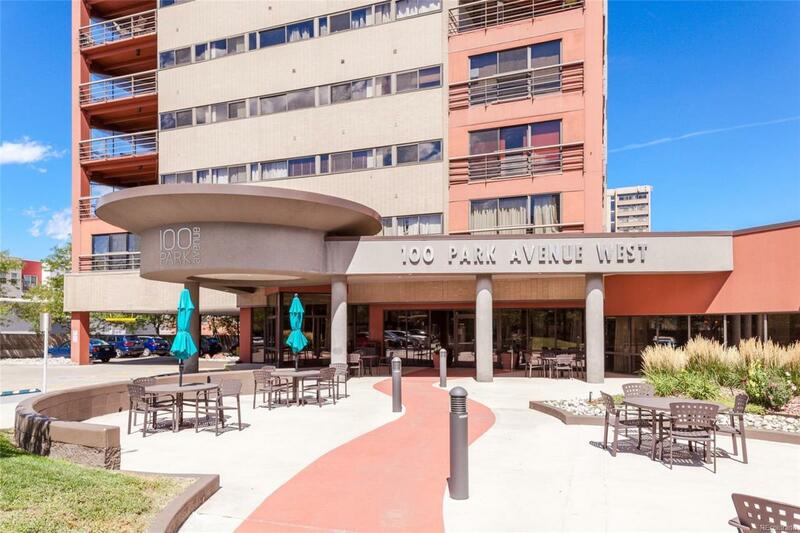 Awesome opportunity to own a condo downtown! Easy access to highlands, RiNo, restaurants, shops, light rail and much more. This unit is a great value, spacious open floor plan with a large bedroom and additional indoor livable space that can be utilized as a den, office or additional storage. $10k remodeled bathroom and a new dishwater have been added. Secure entrance as well as an underground parking garage. Exceptional amenities including one of the few pools and hot tubs open year round! Private on-site dog park and wash, built-in BBQs, cabanas, fire pit and community garden plots. Inside you will find a business center, spacious lounge that can be rented out for events, as well as a fitness center and conference room. Offered by Goodacre & Co Real Estate.